I have been planning to sew jackets for a while, and when the lined jacket contest being run on Pattern Review convinced me to move around the projects in my queue. Though I have made a few coats in my time, I thought it would be good to read through Tailoring: The Classic Guide to Sewing the Perfect Jacket as a bit of a refresher and to see if I could pick up a few new ideas. I actually got this book quite recently, so I haven’t used it as a reference for my other sewing projects. I was quite excited to get a new sewing book and as I was inspired by my in-progress jacket projects I read through it quite quickly. Tailoring focuses completely on sewing a tailored jacket, so it isn’t a great general sewing book, but it does do a nice job of considering the many options available for creating a tailored jacket. It covers custom (aka hand sewing), machine, and fusible techniques for structuring the interior of the jacket. It also covers basic fit alterations, tailoring tools, fabric choices, and procedures for sewing common jacket details such as welt pockets, bound button holes, and vents. 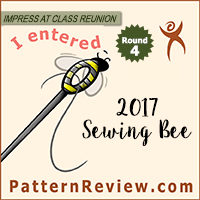 I got this book because I had heard many good reviews and recommendations on several other blogs and on pattern review. However, after reading through it I have to say I was a bit disappointed. I think that while this book does do well in covering all of the topics one would consider when embarking on a detailed tailoring project, it doesn’t quite have the depth that I would expect from a book discussing an aspect of sewing where attention to detail and fit is key. The overview of tools and fabrics was nice, but I would have liked to have a few more details on exactly how to use all of those fancy tools (especially the ones that I don’t yet own – how else will I know what to ask for as a birthday present?). Also, the section on correcting fit issues seems cursory at best. Obviously this isn’t a book dedicated to fit alterations, but I still felt that many of the more common problems weren’t covered in enough detail. Also, while I felt that many of the sewing instructions were quite good, I did feel like some of the more complicated procedures (like bound buttonholes, welts, and vents) could have used more detailed explanations and more photographs. It isn’t that this is a bad book, but I think that I have read or used too many other sewing books that this one just feels a bit light on the content. Actually, I also recently acquired a used copy of the Reader’s Digest Complete Guide to Sewing, and I find I am turning to that book quite a bit more for technical advice. I mean, it has at least four different methods for creating bound buttonholes. Also, I am a bit spoiled as my mother had found Tailoring: Traditional and Contemporary Techniques at a used bookstore, and that volume is quite a bit more detailed and complete, especially as far as fit is concerned. The one upside to The Classic Guide over Traditional and Contemporary Techniques is the color photographs are quite nice, but when it comes to actual content Contemporary Techniques wins out across the board. In the end I would say that Tailoring: The Classic Guide to Sewing the Perfect Jacket is a good sewing book, but not a great sewing book. I think this book would be a good first tailoring book because it covers a nice range of topics without being overwhelming in depth. 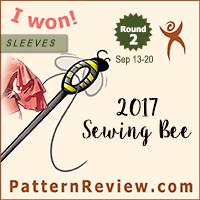 I did very much like how it presented the information about the interior structure of jackets (such as backstays, sleeve heads, and interfacing options). However, if you have another good reference book (or several that cover various topics in depth), then you can probably skip having this book in your collection. 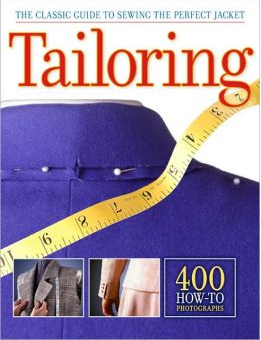 If you are worried about sewing a jacket or afraid of tailoring because of all the details then I think this book would be a good starting point. If you are a bit more advanced in your sewing skills then you would probably do better choosing a more technical or advanced text. So tell me dear readers – have any of you used Tailoring: The Classic Guide? What did you think? Is it your go-to tailoring book, or do you have another favorite? As always feel free to discuss in the comments! I also have the superb Readers Digest book. It is my first source for help with sewing techniques. Each time I use it I appreciate all over just how good it is. The Singer reference books are also excellent, particularly the Pants book. Between the Singer & RD books I haven't needed to buy any other books. I recently bought a Sandra Betzina Pants class on Craftsy. It is also good, but I did realise after half way that the Singer book covered everything as well and sometimes better.